The average price for this game in the past 6 months is $3.39. The game first became 50% off on Sep 9, 2016 at GOG.com. Lowest historic price was $2.49 on Nov 21, 2017 at GOG.com. The average price for this game in the past 6 months is $11.00. The game first became 50% off on Oct 13, 2015 at Green Man Gaming. Lowest historic price was $11 on Dec 18, 2018 at Green Man Gaming. Now through July 9 Might & Magic Heroes VII Complete is hitting a new low by over a buck with a drop to $14.96 in GamersGate's Summer sale. Normally a $50 purchase ($35 more). Huge discount on the September 29th released Might & Magic Heroes VII. 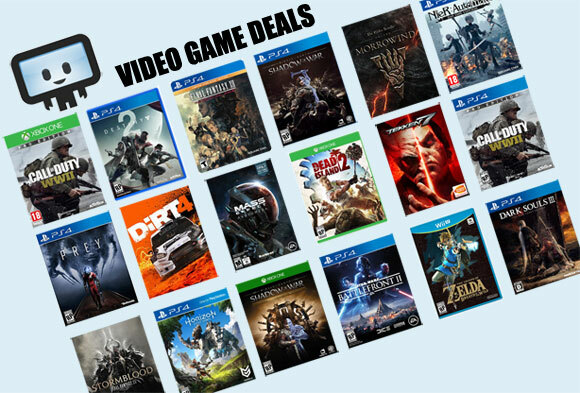 GMG's instant savings + coupon discount slashes the price to only $19.25 - a new low by $6 and 61% off the usual $50. Might & Magic Heroes VII slashed to $25 today in GMG's VIP Gaming sale. This is a new low by $4 and the first time we've seen the September 29th released title hit the 50% off mark. Might & Magic Heroes VII hits a new low today in GMG's VIP Gaming sale. A buck off the $30 they were charging last week. Impressive 42% off a week old game. Hot hot deal going on Might & Magic Heroes VII at GMG. The game is out today on Uplay and GMG just launched a 40% of coupon code cutting the price from $50 to only $30. Lowest price yet. The average price for this game in the past 6 months is $6.60. The game first became 50% off on Apr 14, 2014 at Amazon. Lowest historic price was $5.98 on Oct 14, 2016 at Green Man Gaming. The average price for this game in the past 6 months is $2.20. The game first became 50% off on Oct 3, 2016 at Green Man Gaming. Lowest historic price was $2.18 on Oct 14, 2016 at Green Man Gaming. The average price for this game in the past 6 months is $4.39. The game first became 50% off on Mar 24, 2014 at Green Man Gaming. Lowest historic price was $4.16 on Oct 3, 2016 at Green Man Gaming. The average price for this game in the past 6 months is $5.53. The game first became 50% off on Aug 18, 2014 at Uplay Shop. Lowest historic price was $5.03 on Oct 14, 2016 at Green Man Gaming. Might and Magic X Legacy reach new historic low price thanks to big Ubisoft sale over at GMG this weekend. As a fan of the series I'm disappointed it has been on a steady decline, but at $5 this is a good pick-up for fans. Uplay key. The average price for this game in the past 6 months is $6.64. The game first became 50% off on May 9, 2014 at Mac Game Store. Lowest historic price was $5.69 on Jun 24, 2015 at Mac Game Store. Usually a Uplay key - Might & Magic X Legacy Deluxe is less than $6 at MGS summer sale for the Steam Play key. Mac/PC compatible.Might & Magic IV bundled in this copy too. (Uplay, of course is still required to to load game). Lowest price on Might & Magic X Legacy Deluxe is available again. $7.12 for the Steam Play key which works on both PC/Mac. Deluxe edition comes with the Dream Shard dungeon and the Falcon & Unicorn DLC plus digital soundtrack. Great price on Might & Magic X Legacy Deluxe Edition for $7.49 at Mac game Store - a solid 75% off the typical $30 list price. Ties the lowest price ever last seen a month ago. This game is Steamplay which means you will always get a Steam key that activates both the Windows and Mac versions. Hot deal on the January released Might & Magic X Legacy Deluxe Edition. Today it dropped 75% at the Mac Game Store - a new low by $8. Despite the retailer's name, this is a SteamPlay game, so the Steam key you'll receive will work for either Mac or PC. The average price for this game in the past 6 months is $3.27. The game first became 50% off on Dec 19, 2012 at GOG.com. Lowest historic price was $3.13 on Oct 14, 2016 at Green Man Gaming. Less than nine bucks gets you five DRM free Might And Magic PC games bundled together. at GOG. Titles include: Might And Magic 6-Pack: Limited Edition, Crusaders Of Might And Magic, Might And Magic 7: For Blood And Honor, Might And Magic 8: Day Of The Destroyer, and Might And Magic 9. Normally for all $34. This weekend GamersGate is offering solid discounts on about half of the Might & Magic series games and DLCs. If it's one of the downloads on sale, you'll save 50% minimum off list.